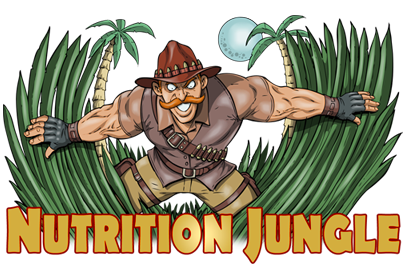 While BCAA's (Leucine, Isoleucine, and Valine) are essential…regular free-form BCAA's are missing critical co-factors to make BCAA metabolism effective. 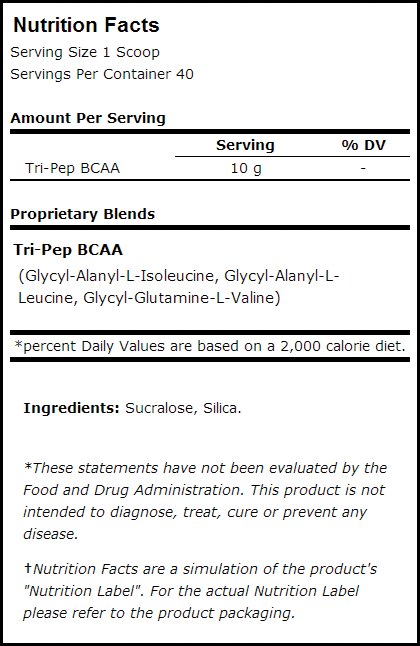 TRI-PEP "peptide-bonded" BCAA contains the correct ratio of these critical metabolic co-factors in its unique chemical structure to provide greater absorption & bioavailability…thus, increasing blood plasma amino concentrations, which result in greater muscle BCAA saturation. Once absorbed in the blood-stream, TRI-PEP "peptide-bonded" BCAA elevate muscle glycogen levels and inhibit lactic acid buildup, allowing for significantly greater endurance while preventing lean muscle tissue breakdown. TRI-PEP additionally supports improved protein synthesis, nitric oxide production, growth hormone levels and IGF-1 release…to preserve and enhance lean muscle. 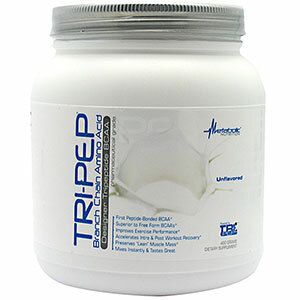 TRI-PEP also differs from regular and instantized BCAA's which have a reputation of mixing poorly and bitter-chemical aftertaste. 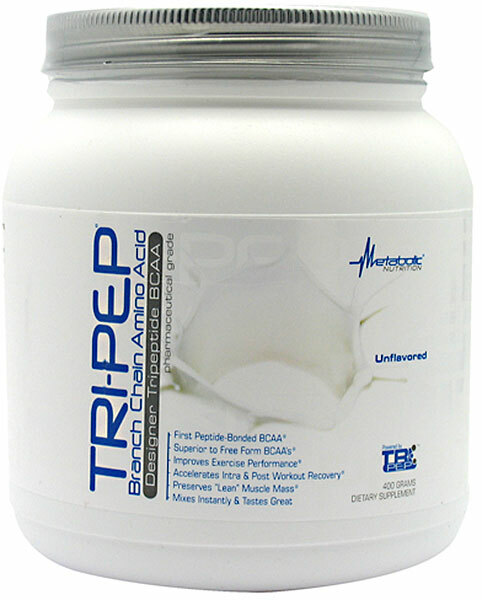 TRI-PEP "peptide-bonded" BCAA exclusive HYDRA-SORB™ process…mixes easily and provides a great flavor profile when mixed in water or your favorite beverage.